Historically a civic and commercial center, the rezoning of the neighborhood in 2004 led to a significant increase in the number of residential properties. Downtown Brooklyn apartments are now available in newly built condominium towers, which come with a host of luxury amenities like fitness centers, roof decks, and concierge services. Many of the old warehouses, offices, and factories have also been converted to create properties at a range of price points, from studios to loft conversions. They join the existing and highly sought-after historic brownstones and townhouses found in the quiet side streets of the neighborhood. The original inhabitants, the Lenape Indians, called the area "Rinnegonock" until the arrival of the Dutch in the 17th century. The Dutch renamed the land "Breuckelen" and used it for farming . The area remained sparsely populated until 1814 when Robert Fulton's steam ferry began to offer an easy commuting option to and from Manhattan. 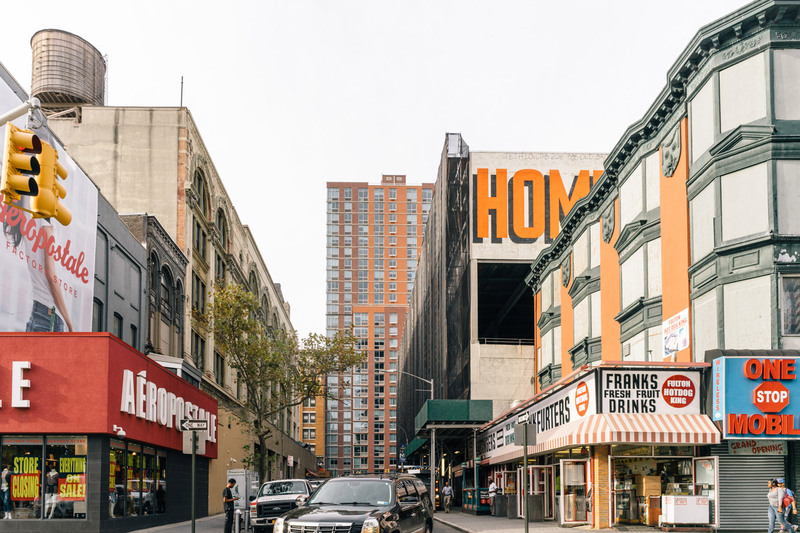 By the middle of the 20th century, many warehouses and factories had sprung up in the neighborhood, and this growth only intensified with the building of the Brooklyn and Manhattan Bridges. Following World War II there was an ambitious public improvements program that included plans for street widening, the building of city and state agencies, and extensive housing construction. 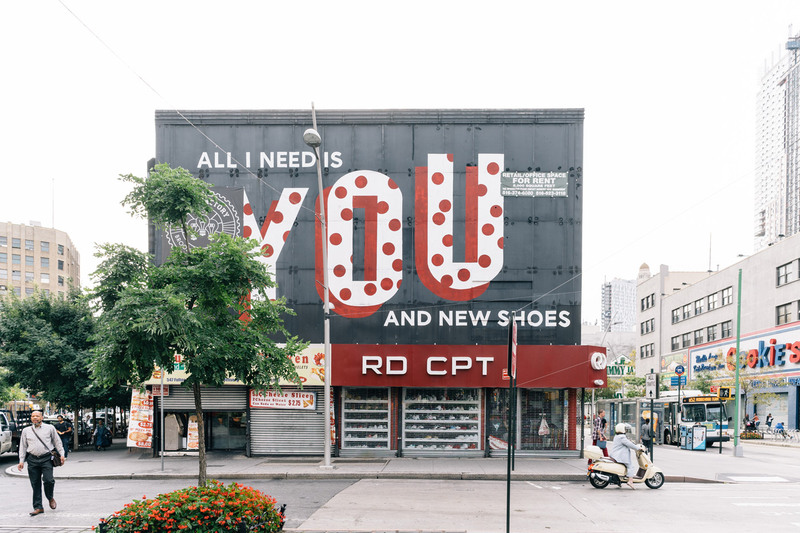 Though this made some headway, the financial crisis of the mid-70's saw the area suffer, and it was only after 1977 that an economic development program was put in place and led to Downtown Brooklyn becoming the third most prominent central business district in New York City. Built on reclaimed land and named for the preacher Reverend Dr. Samuel Parkes Cadman, a minister of the Brooklyn Congregational Church, the Cadman Plaza Park serves as green space for both Brooklyn Heights and Downtown Brooklyn. Nearby is Walt Whitman Park, dedicated to the famous poet and former Brooklyn resident. Around the 3-acre site, you will find quotes from Whitman's work carved into benches and the oval plaza. 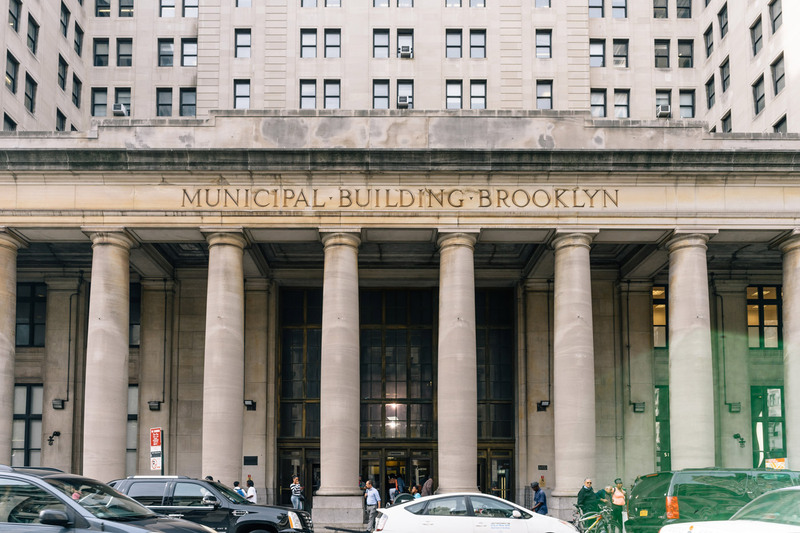 A landmark building in the neighborhood is the 19th century Brooklyn Borough Hall. Built in a Greek Revival style and constructed from Tuckahoe marble it was included on the National register of historic places in 1980. BRIC Arts|Media House is the leading presenter of free cultural programming in Brooklyn creating programs like the Celebrate Brooklyn! Festival in Prospect Park. It provides low-cost media training and access to television studio facilities as well as hosting events, exhibitions, and performances throughout the year. 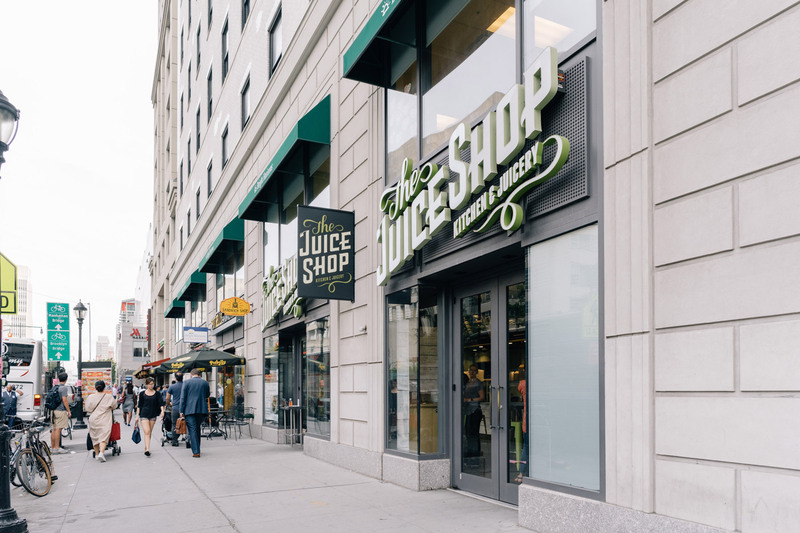 Conveniently located next to major subway lines, the Fulton Street Mall is more of an outdoor pedestrian shopping zone than a traditional mall. Here shopaholics can enjoy over 150 retail outlets, ranging from chains stores like Macy's, Target and H & M to other independent retailers. Showcasing 50 vendors who reflect the diversity of the neighborhood, Dekalb Market Hall offers everything from morning bagels to pierogis. It also has a show kitchen and daily live programming as well as a cocktail bar. 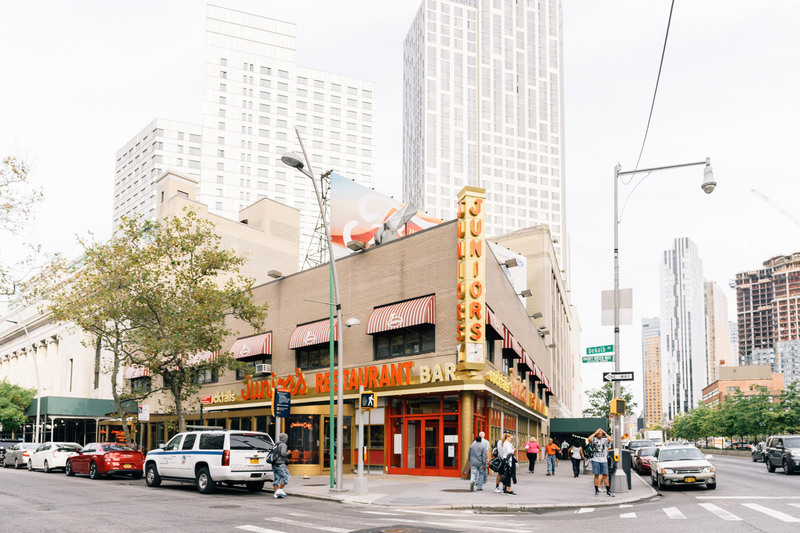 Founded in 1950, Junior's restaurant has been famous for its cheesecake which is made in its family-owned bakery using nothing but premium cream cheese and fresh ingredients. Awarded the Michelin Guide's Bib Gourmand four years in a row, Ganso Ramen serves classic ramen and other Japanese comfort food like crispy gyoza dumplings as well as beautifully prepared small plates. Finally, La Defense Bistro is a French bistro housed in an industrial-chic space. Open all day it serves classic dishes like moules frites and steak au poivre and also has a coffee bar and bakery. The perfect place to hang with friends, Rocco's Taco and Tequila Bar serves authentic Mexican food and an incredible selection of 432 varieties of tequila. Margaritas, mojitos plus good beer and wine selections round out the spirit options. Step into Livingstone Manor, and you might think you'd walked into a bar in the Catskills. Named after an upstate fishing town, this rustic bar has a unique spirits collection, craft cocktails and local beers on draft, while the kitchen offers charcuterie, sandwiches, and brunch. Lastly, Brooklyn Academy of Music or "BAM" as it's more commonly known is a multi-arts center that host musical, dance and theater events throughout the year. As well as catching some great live performances, you can also visit BAM Rose Cinemas, which shows the latest indie releases and revivals of International classics.